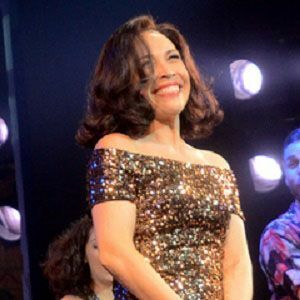 American musical theatre actress and singer-songwriter best known for her portrayal of Daniela in the Tony Award-winning musical In The Heights. She has also starred in the Broadway musicals On Your Feet and Disney's Beauty and the Beast as Belle. After attending the French Woods Festival of the Performing Arts, she was cast as Maria in the European tour of West Side Story. She toured as Lucille Frank in Parade, receiving a Touring Broadway Award nomination for Best Actress. She married actor and director Peter Flynn, and they had one son named Hudson. She appeared in the original cast of In the Heights, alongside writer and performer Lin-Manuel Miranda.